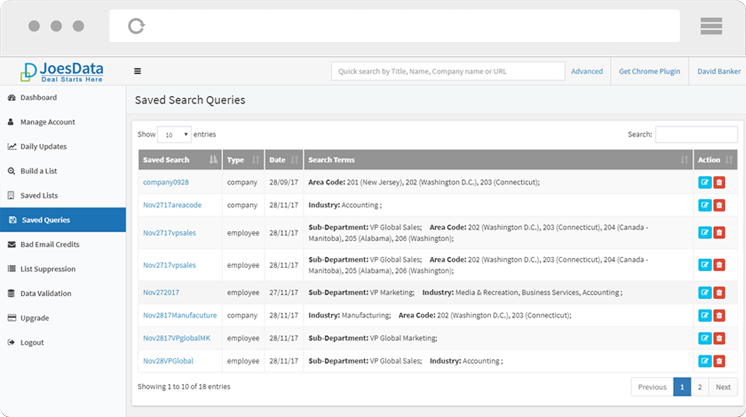 Our 20 plus search filters allow users to find targeted prospects based on individual name, company name, company website, job title, job function, industry, location, management level, and more. 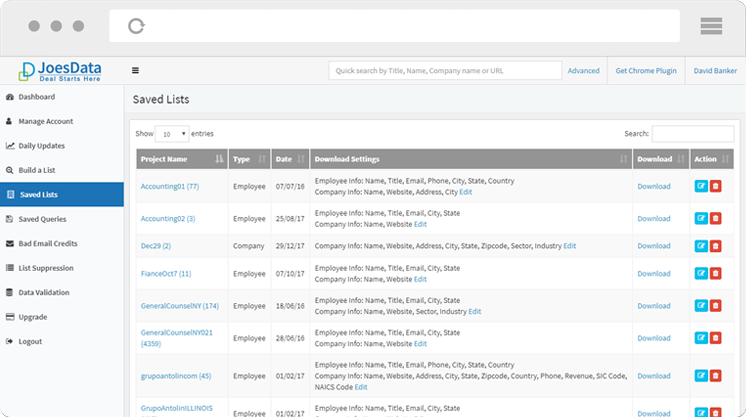 Get access to detailed information on key executives with email addresses, direct dial phone numbers, employment history, education etc. 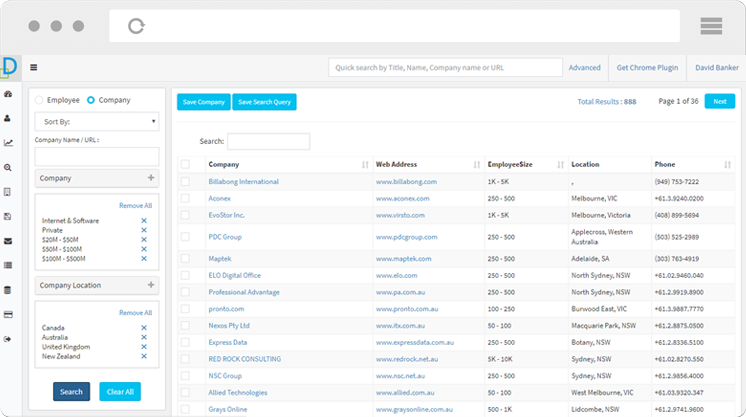 You may search company based on over 20 filters such as industry, SIC code, NAICS code, location. 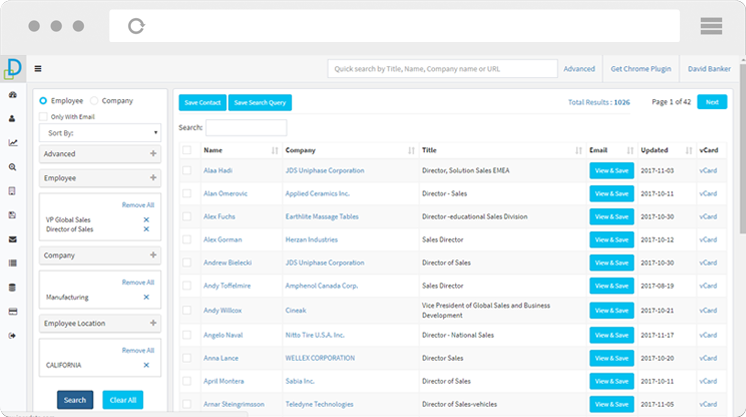 Under company profile, you can access detailed information such as management, company news, company competitors and competitive insights, company social statistics such as monthly changes in twitter followers, facebook likes. 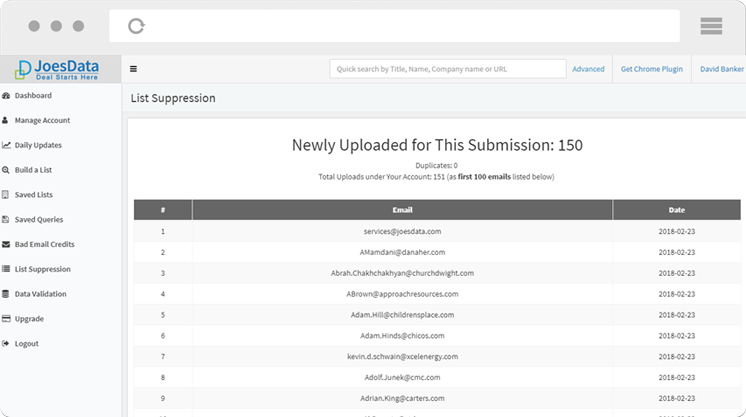 Create different projects to save contact or company lists in seconds for different marketing compaigns or sales efforts. 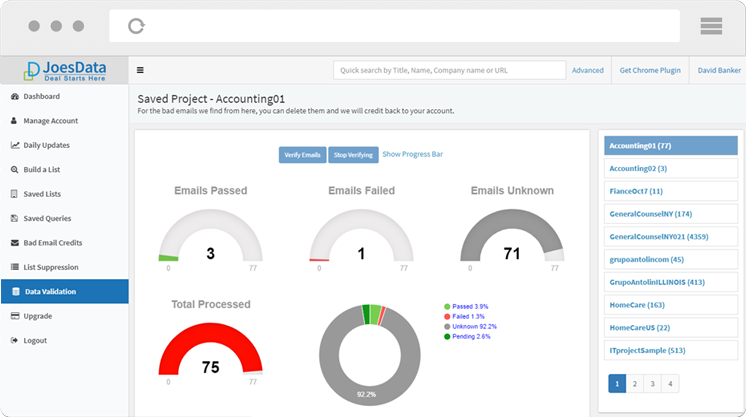 Export saved contacts into an excel/csv file at anytime. Initiate conversations with your ideal targets at the right time with the help of our sales triggers. Save a search query for late use or when there is new data under the search filter you selected coming up, we will try to notify you. It is easy for you to get the most updated data from us to out perform your competitors. If you have a list of contacts of your own, and you do not know how many duplicates between your list and our database, do not worry. Just upload your list to our website, then you can compare what you saved from our database with the list you upload and delete duplicates, so you will not get charged for contacts that are already in your list. We validate our data from time to time. But for certain paid customers, we can do a second email validation for free. You can verify email addresses in real-time to see whether it's properly formatted and whether the mailbox exists, so it will increase the reach-out rate for your marketing compaign.